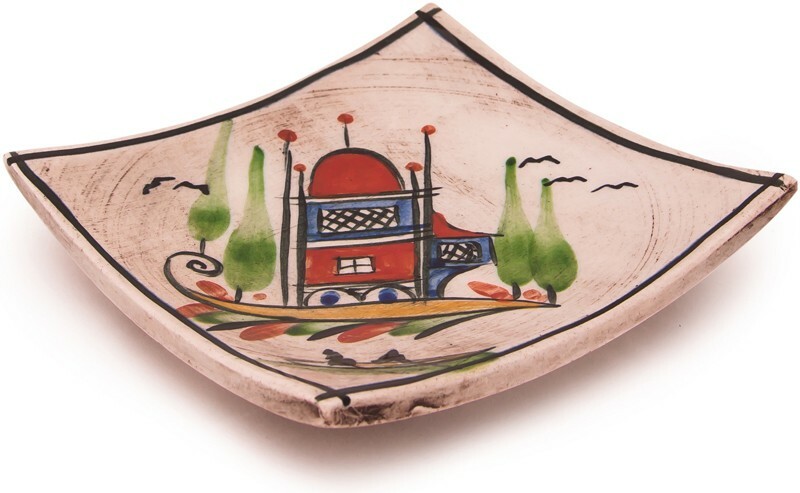 Canakkale Square Plate small is hand crafted by Adil Can - Nursan Art Work Shop and it's unique and signed. 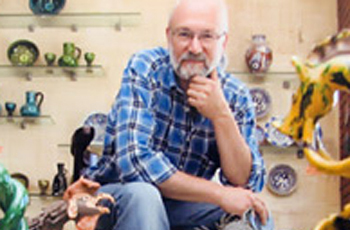 Canakkale was the manufacturing center of artifacts having an unique and interesting form from 17th to 20th century. Earthy red paste and rarely beige colored paste are used in ceramics. 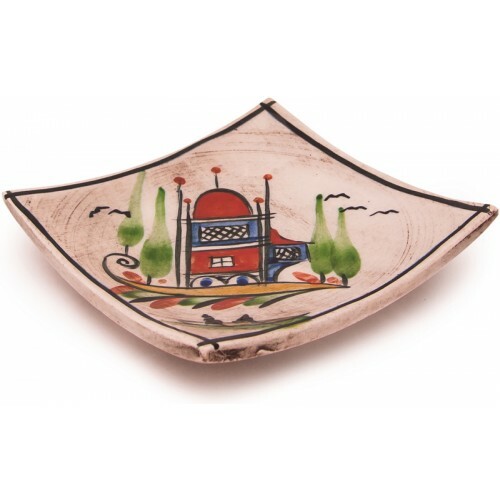 By using green, yellow, brown transparent glaze unique only to these ceramics, they are figured with purplish brown, orange, yellow, navy blue, white paint and decorated with its unique rossettes. Also herbal patterns are made by using gold silvering over glaze. Generally they are used for daily purposes. Jar, jug, pitcher, ewer, mug, plate, vase, calligraphy set, brazier are among the primary ceramic objects. In addition to those jugs with twisted handle, beaked opening or with nose and round bodied horse headed jugs are manufactured.